Wellington, July 20 NZPA - The Government has confirmed it will not mine protected conservation land -- its biggest backdown since taking office. 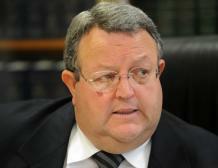 Energy Minister Gerry Brownlee announced today no land would be removed from schedule four to be mined. That was decided by Cabinet yesterday and reported by media last night, but Prime Minister John Key said he wanted to run it by his party caucus this morning before a formal announcement. Mr Brownlee said the majority of submissions the Government received was opposed to removing land from schedule four to mine it. "We heard that message loud and clear." Conservation Minister Kate Wilkinson said 14 areas totalling 12,400 hectares of land would be added to schedule four and future land given classifications similar to schedule four, such as national parks and marine reserves, would automatically become part of schedule four.